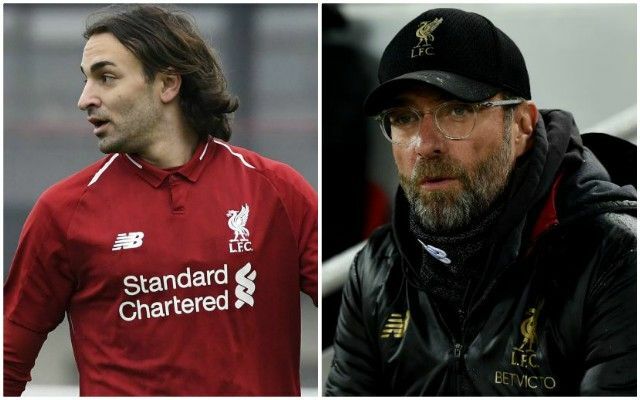 Jurgen Klopp admits he is delighted for Lazar Markovic after he was given a Premier League lifeline by Fulham on transfer deadline day. The Serbian moved to Craven Cottage on a permanent transfer in a bid to reignite his career after three-and-a-half difficult years on Merseyside. Markovic had not made a senior appearance for the Reds since May 2015 after finding himself surplus to requirements following Klopp’s appointment as manager. His time at the club saw him manage just 34 appearances across all competitions, all coming in his debut campaign, and included loan spells with Fenerbahçe, Sporting CP, Hull City and Anderlecht. Having worked predominantly with Neil Critchley’s U23s so far this season, the 24-year-old used the January window as an ideal opportunity to seek first team football elsewhere. Markovic was signed from Benfica for £20million back in 2014 as Brendan Rodgers re-invested the money garnered from Luis Suarez’s move to Barcelona. Despite a glowing reputation out of Portugal, the winger rarely looked like adapting to the speed and physicality of English football. Nonetheless, his brightest temporary stint did arrive under the management of Marco Silva as Hull were relegated from the top-flight in 2017. Liverpool could come face to face with their latest departure, along with ex-forward Ryan Babel, when they travel to face Fulham on March 17.